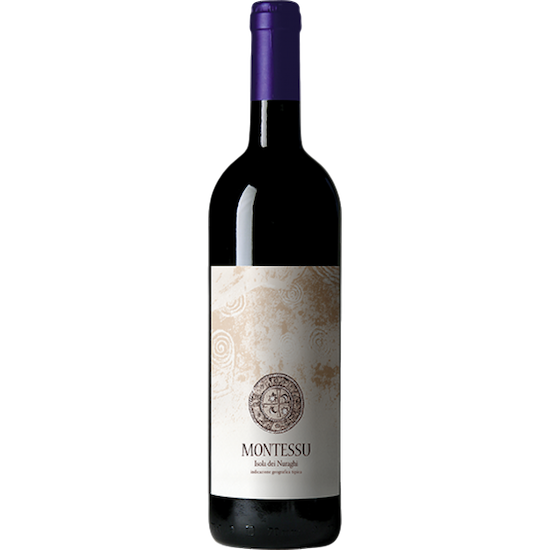 The Montessu is an intensely fruity, elegant, full-bodied wine that combines traditionally Sardinian Carignano with Syrah, Cabernet Sauvignon, Cabernet Franc, and Merlot from Sulcis, the Southwest corner of the island. The grapes are grown on spurred cordon vines rooted in calcareous, clay-rich, and sandy soils. The vineyards are exceptionally hot and dry in the summer and temperate through the winter. This is expressive take on Mediterranean wine is deep ruby red to the eye, with an intense, full palate of dark fruit and a deep licorice finish.